Lucasfilm announced today that Marvel comics will be publishing a special one issue story, titled "The Storms of Crait" on December 27th, 2017 to tie in with the upcoming release of Star Wars: The Last Jedi on December 15th. The issue is written by Ben Acker and Ben Blacker (Join the Resistance) with art by Mike Mayhew. The story will feature Luke and Leia is set during the Galactic Civil War, telling the backstory of the planet Crait which will appear in the film. "We’re excited for the opportunity to tell this story, tying the new sequel series in more tightly with the original trilogy era, and helping make the galaxy far away a little more fleshed out. The Bens are a great fit for Star Wars, as they showed in Join the Resistance, and Mike has done such great work on both covers and the Obi-Wan issues of the flagship Star Wars title, that we couldn’t be happier to have him back doing art for us." 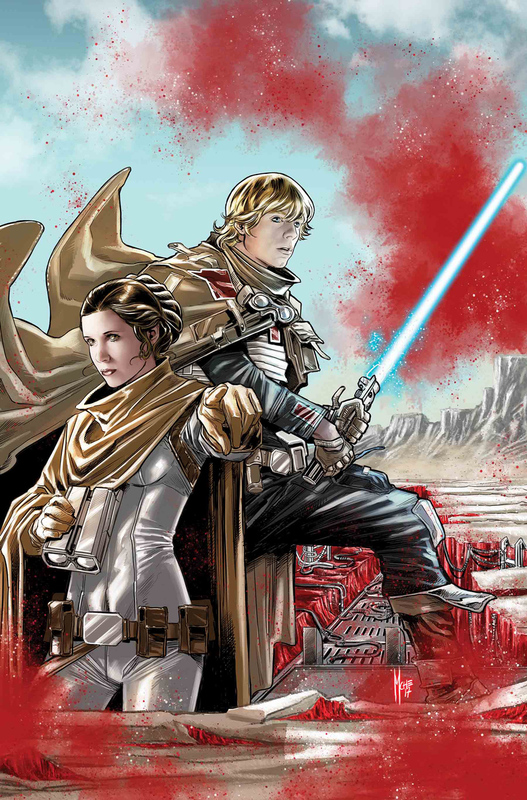 Star Wars: The Last Jedi – Storms of Crait #1 hits shelves on December 27th, 2017. I wish the'd start telling some stories that happened after Empire or Jedi.